For Distinguished Adults with Downs Syndrome. Jerusalem Branch of Heart to Heart American. The vision - To open a Center in Yerushalayim to assist English speaking adults with Downs Syndrome to successfully integrate, ie. live, learn, and work, in Israeli society to the best of their potential and thus enable their families to make aliya and follow their dreams. Ulpan classes specifically designed for people with special needs. classes on physical education, exercise, swimming, music and dance. People with Downs Syndromeand known for their creativityso there will be classes teaching art, design, sewing, knitting, all forms of creative self-expression in the area of drama, music and dance. 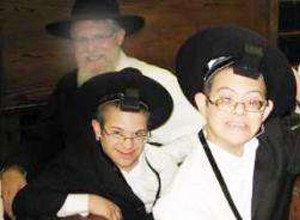 People with Downs Syndrome are renown for their chesed, their warmth and love for every person, so the Center will include time for our participants to volunteer, at various chesed organizations. Everyone needs time to relax so the Center will provide a Rec Center (room) complete with computers, games, theater, and a library. There are many difficulties to overcome when a family chooses to make aliya. However a family with a special needs child/adult finds this journey not only difficultbut virtually overwhelming and at times impossible. The Center will provide counseling for families as well as respite if a family comes for a vacation or for a pilot trip. The Center will be a place where families can get all of their answers about their special needs adult children. The ultimate goal is to have a center large enough to accommodate several assisted living apartments where adults with Downs Syndrome can live and learn hands-on, in a safe and secure environment. Our experienced staff will include qualified personnel such as social workers and psychologists as well as teachers and sttaff trained to work with the special needs adult population. The staff includes: Rabbi Eliezer Goldstock and Mrs. Chana Goldstock Co-founder of Heart to Heart and researchers who have been working in the field of special needs for the past 45 years. They have created an organization that has saved hundreds of infants from being abandoned at birth simply because they were born with a disability. They have provided financial aide, counseling, direction, professional services, certification classes, and have cared for many of these infants in their own home. They are the parents of a 21 year old biological daughter and an adopted son, 17, both of whom have Downs Syndrome. Their son has residual disabilities as a result of a serious failure to thrive as an abandoned infant. The Heart to Heart consituency spans the globe and those parents who have kept, maintained, and loved their children are now asking to develop this project. 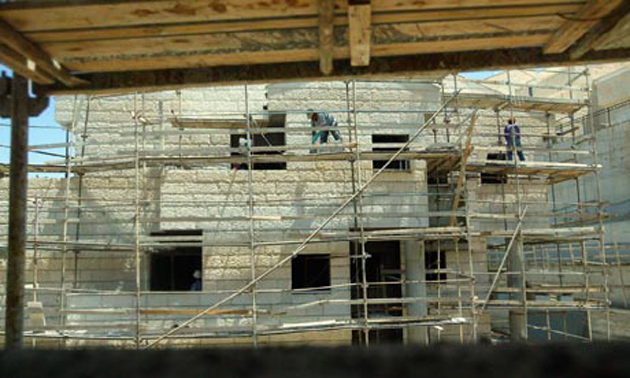 The Center will require $1.5 million to complete phase one and $750,000 budget to open the doors in Jerusalem. This is a project that will bring many different people together and give the Downs Syndrome population the opportunity to reach their potential and live happy fulfilled independant lives.